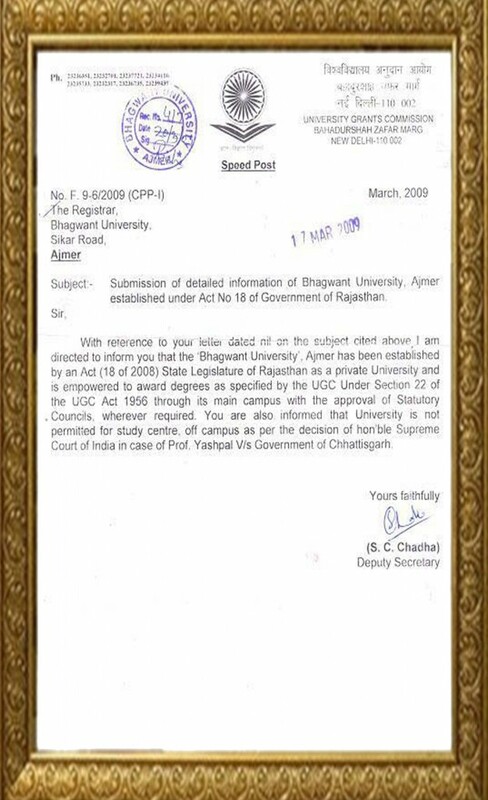 Bhagwant University, Ajmer, Rajasthan has been established by Government of Rajasthan by an Act No.18 of 2008 of Rajasthan Vidhan Sabha. 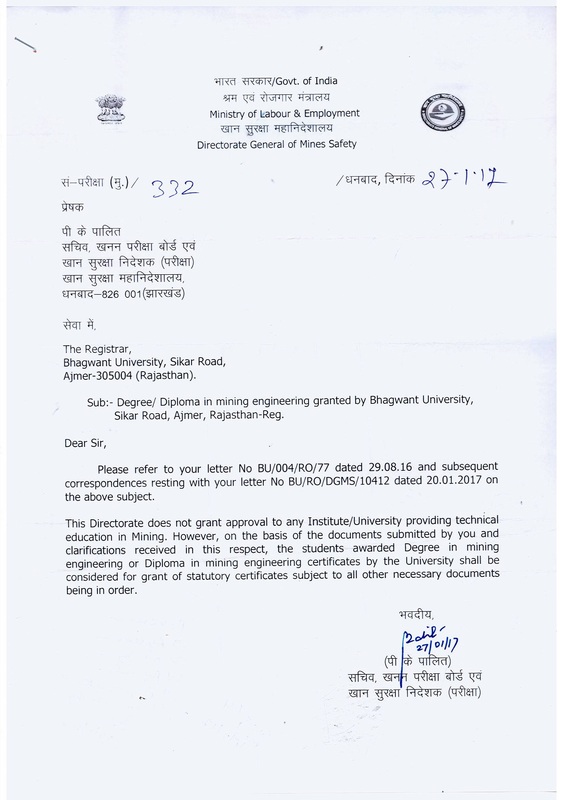 Bhagwant University, Ajmer, Rajasthan is recognised by University Grant Commission (UGC) a statutory body of the Government of India under 22 of UGC ACT. 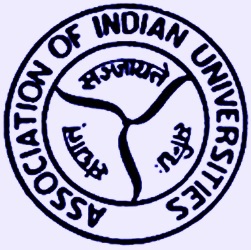 As per law, Universities do not required AICTE approval. 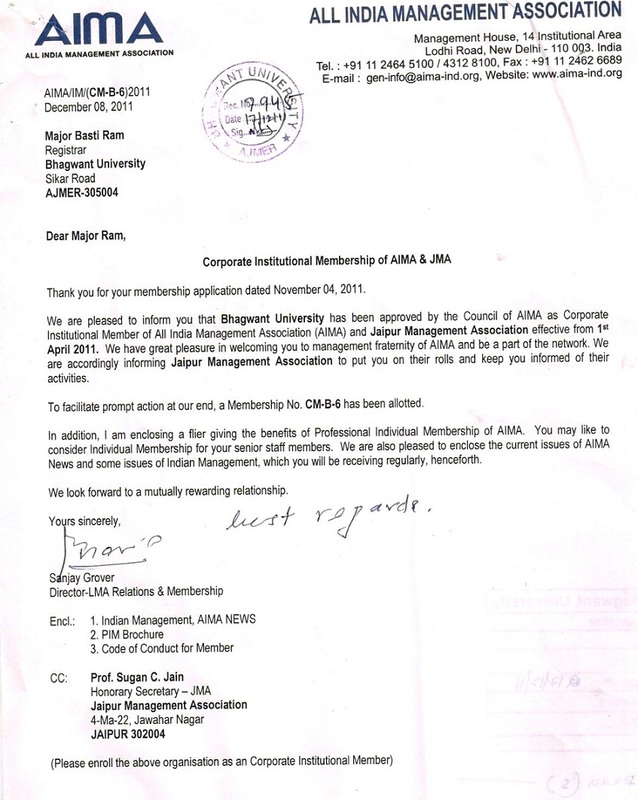 Only institutions which are affiliated to Universities require approval. 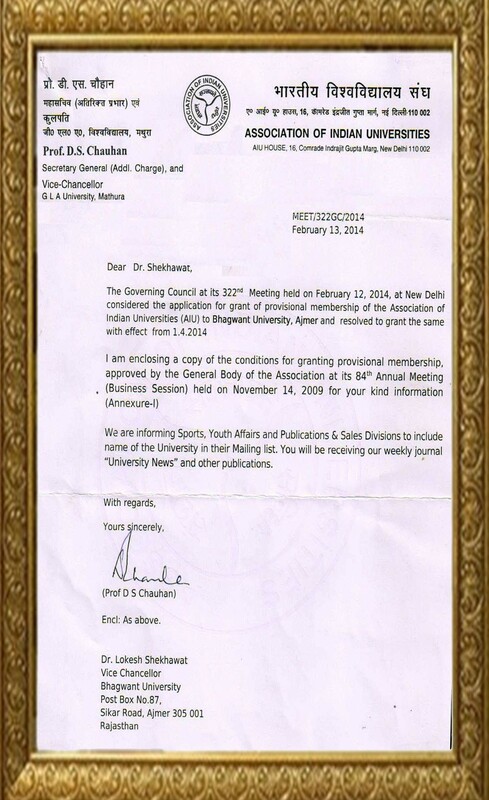 As Bhagwant University is a Bonafide University established by a State Act & duly recognised by UGC, hence it does not require AICTE approval. This standing of law is established by Hon’ble Supreme Court of India in the case of Bharathidasan University Vs AICTE. 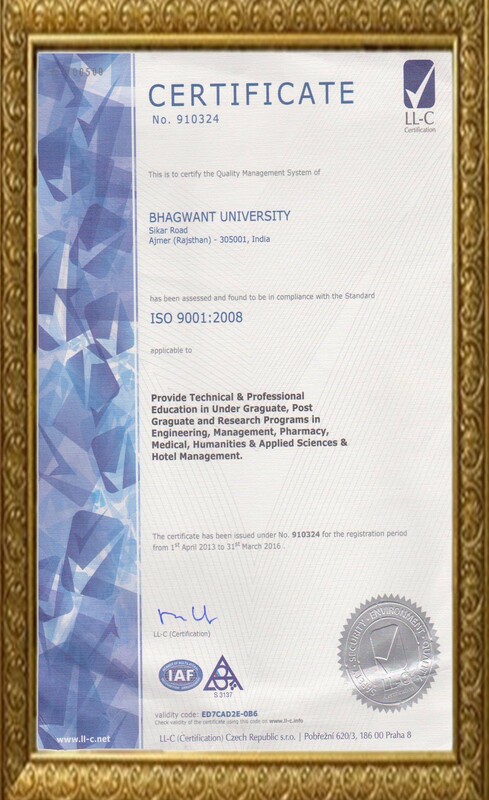 DGMS does not grant approval to any Institute/ University for providing Technical Education in Mining, but the students awarded Degree/ Diploma in Mining Engineering by the Bhagwant University shall be considered by DGMS. 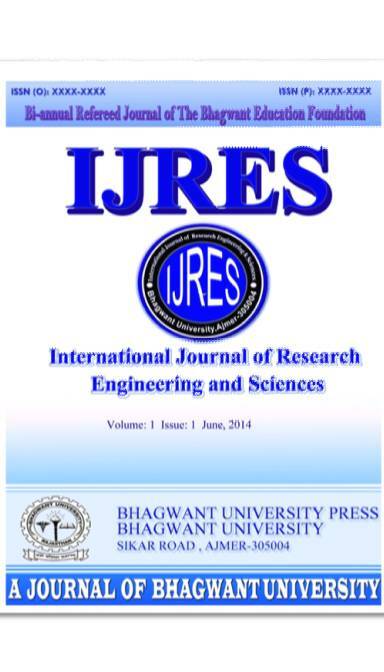 Bhagwant University is approvaed by National Council for Teacher Education (NCTE) to run B.Ed. Course. 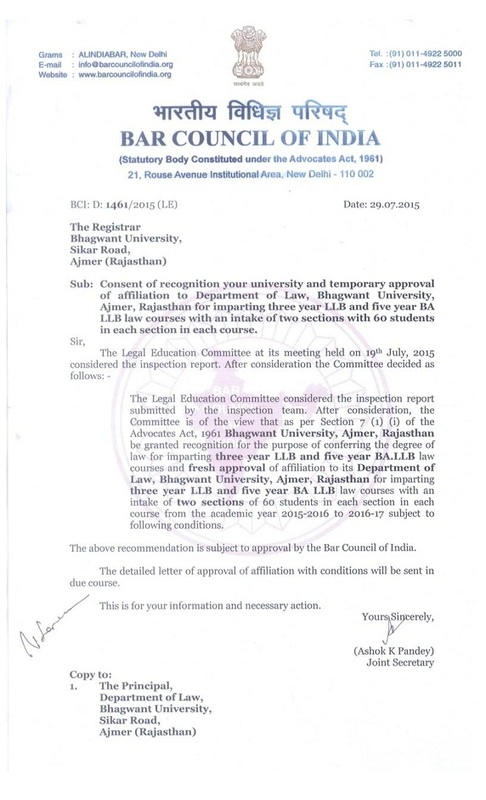 Bhagwant University is approvaed by Bar Council of India (BCI) for BA + LLB (5 Yrs) and LLB (3 Yrs.) Courses. FICCI is the voice of India’s business and industry. From influencing policy to encouraging debate, engaging with policy makers and civil society, FICCI articulates the views and concerns of industry. It serves its members from the Indian private and public corporate sectors and multinational companies, drawing its strength from diverse regional chambers of commerce and industry across states, reaching out to over 2,50,000 companies. 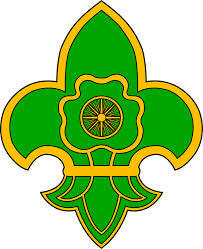 The Bharat Scout and Guide is a voluntary, non-political, educational movement for young people, open to all without distinction of origin, race or creed, in accordance with the purpose, principles and method conceived by the founder Lord Baden Powell in 1907. 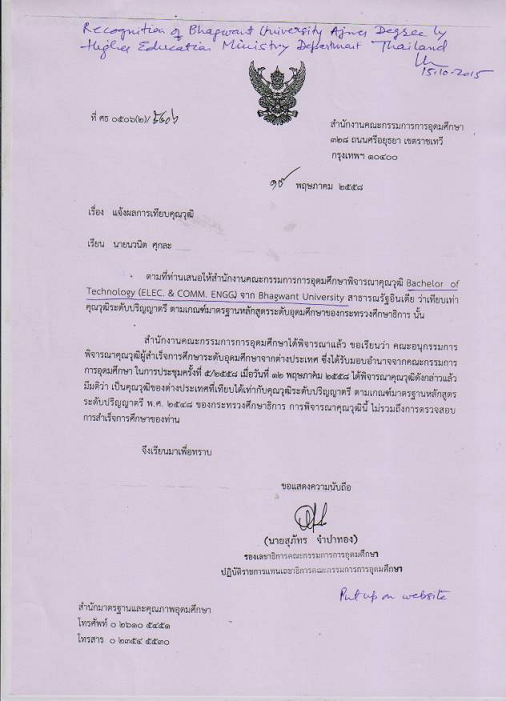 The Office of the Higher Education Commission (OHEC) is responsible for Thailand’s higher education, overseeing 170 higher education institutions at both undergraduate and graduate levels. 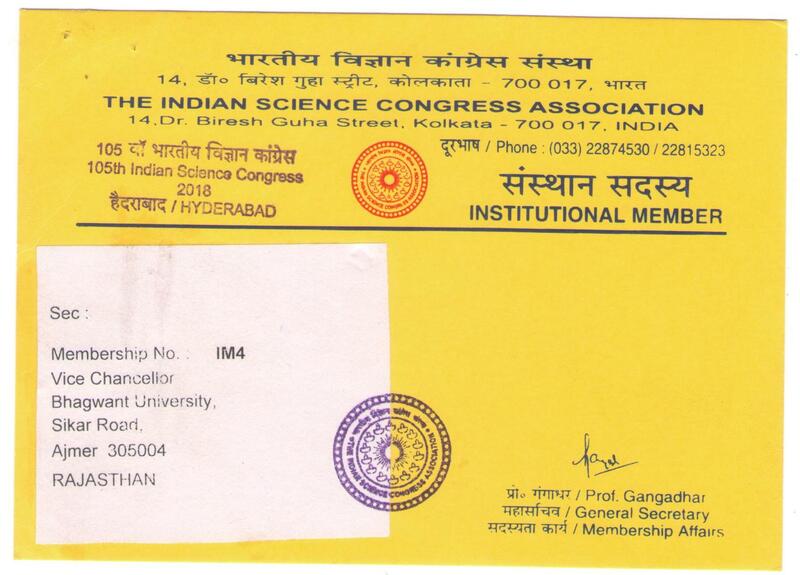 The Pharmacy education and profession in India upto graduate level is regulated by the PCI, a statutory body governed by the provisions of the Pharmacy Act, 1948 passed by the Parliament. 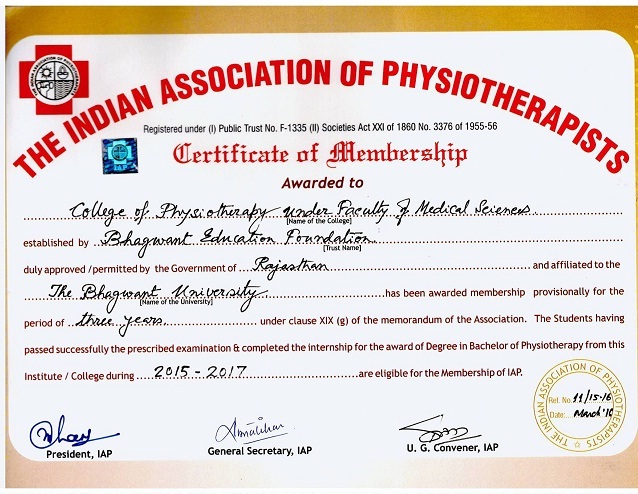 Indian Association Physiotherapist is a registered body in India, with over 30,000 physiotherapist as member of this body. The body is controlled by the board of elected office bearers, which included President, Secretary, Treasurer and various conveynors to montior various activities of the IAP. 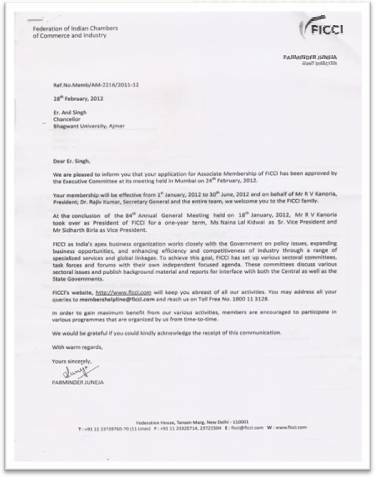 Bhagwant University, Ajmer has been recommended/ promoted by Indian High School, Senior Campus, Dubai among their students and their Society in Dubai, UAE in their Career Newsletter along with other reputed Universities of the World.